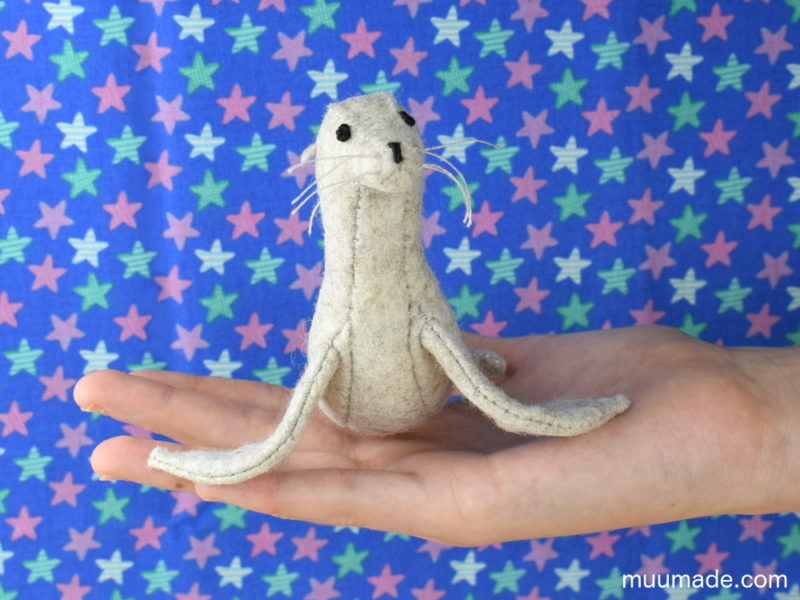 The Little Felt Sea Lion is the newest member of the Muumade clan! Its sewing pattern & tutorial is now available from my online shop, Muumade.etsy.com. With a tiny modification, this pattern can also be used to make a Little Felt Seal! Curious about the differences between a sea lion and a seal? Please visit my blog page for the details! Here are the stars of the aquarium. Let the show begin!